Why iPhone Turns off When it has Battery? How to Fix it? Why iPhone Turns off When it Still has Battery? How to Fix it? Have you noticed your iPhone turning off without your input, even when you still have some battery percentage left? It will definitely look frustrating seeing your iPhone turns off at 20% when you are enjoying that game, video, music or making calls and others. 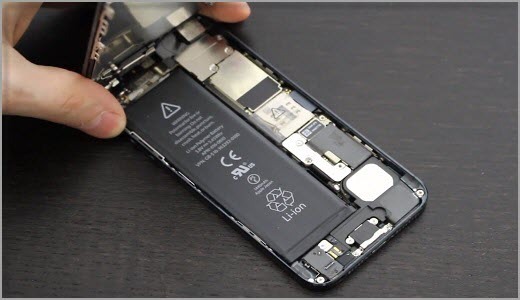 While this may be an indication that something is going wrong with your iPhone, we will examine those things that can make your iPhone 5 shuts off at 40% battery and how to fix them. What Cause iPhone Turns off When it Still has Battery? 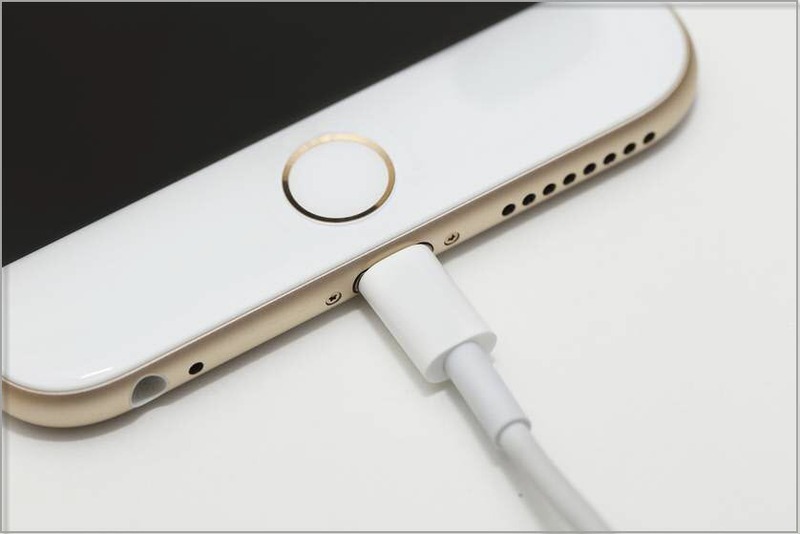 Sometimes, issues related to iPhone switching off itself may be caused by water damage or the iPhone is not relating correctly to the battery. When this happens, you have nothing to worry about as most times, this problem can be fixed at home. You may notice that your current displayed date and time is accurate, but there is also a separate time called Battery Time, which relates itself to that time. The Battery Time helps to approximate battery percentage and time depending on a variety of algorithms. To fix this battery time, you will need to adjust the calendar settings. 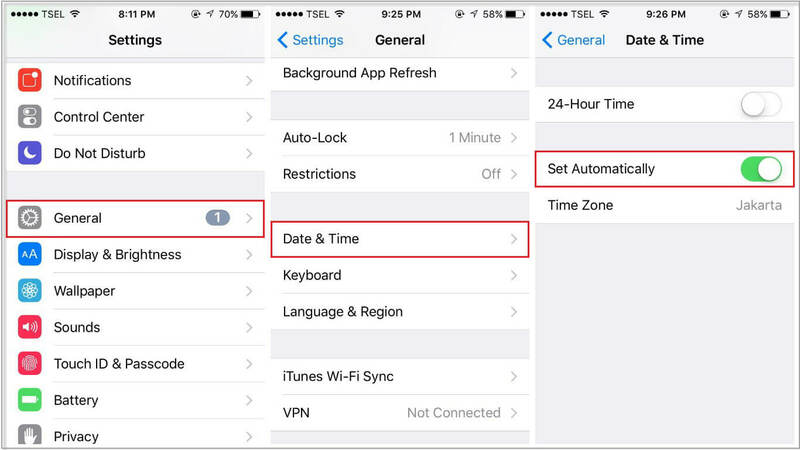 Step 1: Go to Settings, click on General, then Date and Time. Step 2: Check to see if “Update Automatically” is ticked ON. If not, simply set it on. Step 3: Doing this will link up the times more correctly and may stop random iPhone turns off at 20% from reoccurring again. When your iPhone 5 turns off at 30 battery, it could be that your battery gauge needs to be calibrated. Step 1: Run your iPhone battery down to 0%, and wait at most 2 minutes till the iPhone turns itself off. Step 2: Then, plug the iPhone to a charger and ensure it charges up to 100%. Step 3: Keep it charged for at least additional 60 minutes before you unplug it to ensure the device is fully charged. By now, your iPhone battery should be fully calibrated. The process can be repeated to further boost its accuracy. Your iPhone software monitors the amount of battery life that remains on your iPhone. If the software or firmware is not communicating properly with the battery, it is not going to display the right percentage. 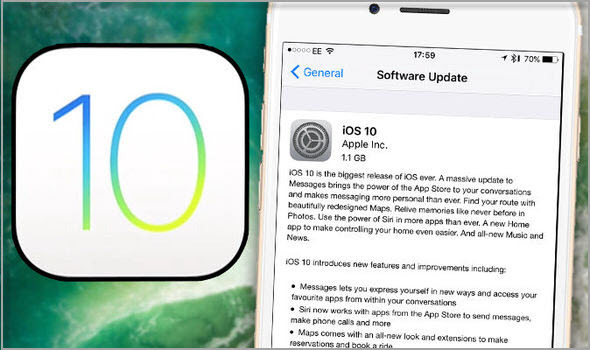 Updating your iOS to the latest version can fix iPhone turns off at 20%. Step 1: Plug your iPhone to a computer that is pre-installed with the current iTunes and open iTunes. Step 2: Press and hold the Home Button and Power Button together for eight (8) seconds. Step 3: Then, release the Power Button while you continue to hold the Home Button until iTunes detect an iPhone in recovery mode. Step 4: Release the Home Button. Your iPhone will completely go blank if you have successfully entered the DFU mode. If not, try again from the start. 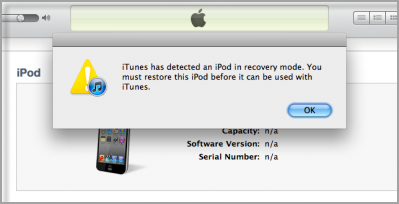 Step 5: Restore your iPhone using iTunes. There is always a risk of hardware failure. Often times, iPhone shuts off at 30% may be because the duration of your iPhone battery has attained its end. Then you will need to replace the battery. You can either contact any nearest Apple store or third-party service providers. 1. Back up: You can back up your iPhone to iCloud. By merely erasing all contents and settings from your iPhone does NOT mean the device will be completely erased. It might shock you to know that those deleted files and data are still very much on your idevice. 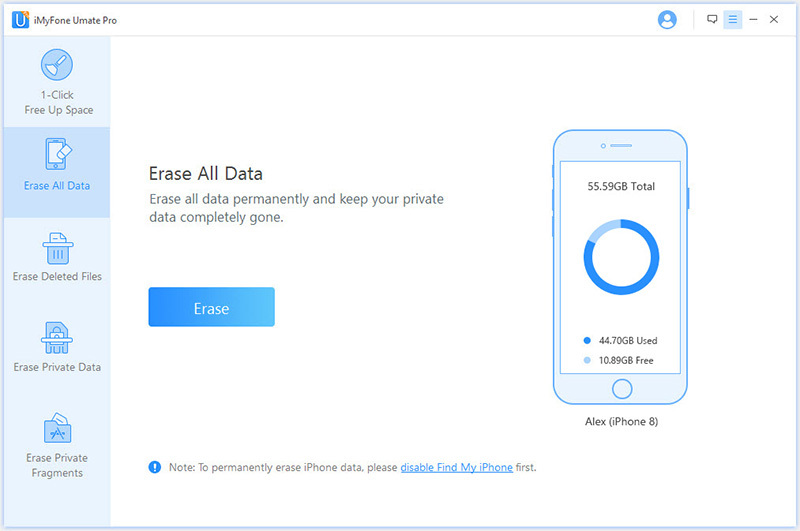 To permanently erase private data on your iPhone, you will need a professional tool. iMyFone iPhone data eraser or iMyFone iPhone data eraser for Mac will completely delete these unwanted data, free up large space and boost your iPhone. 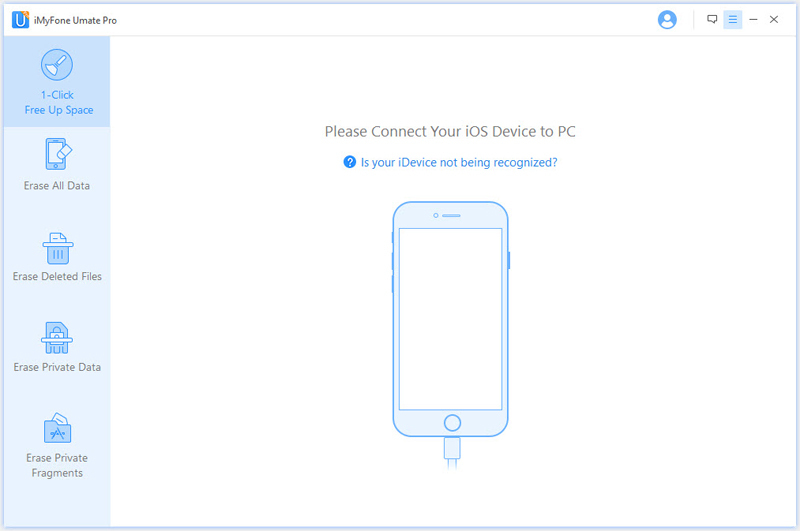 Erase All Data: permanently erase all contents and settings from your idevice, without leaving recovery traces. 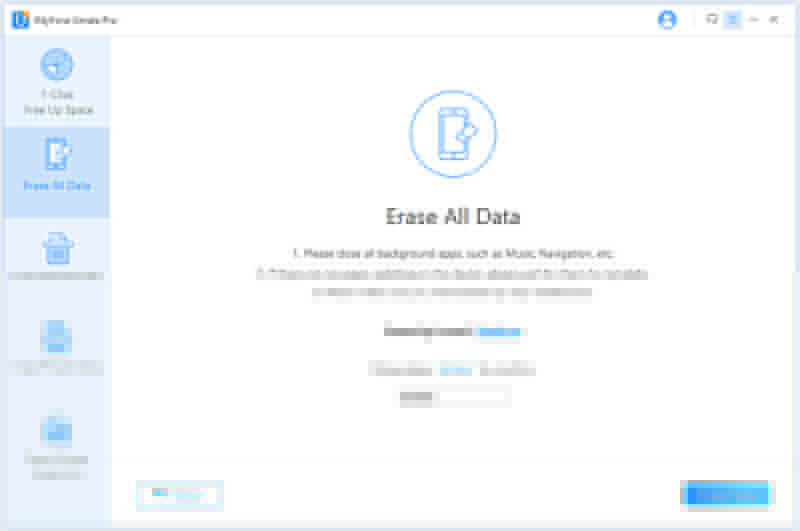 Erase Private Data and Erase Deleted Files: these two modesoption to preview all your personal data and select those you would like to erase. Erase private Fragments: erase WhatsApp, WeChat, and other third party app data, which all other iOS data erasers do not have. 1-Click Free Up Space: erase temporary files, clean up junk files, compress photos or backup and delete photos. Step 1: Connect your iPhone with its USB cable to the computer and run iMyFone Umate Pro. Step 2: Select “Erase All Data” tab and click on “Erase” button. Please remember to close all background apps. Step 3: Type “delete” into the box to confirm and click on erase now.